The Meadowcreek LINKPROJECT cordially invites gardeners, growers and all those interested in preserving heirloom plant varieties to attend a seed-saving workshop and open house on Saturday, September 8. The workshop will be held at Meadowcreek’s Lower Dorm in Fox from 11 AM – 3 PM. The LINKPROJECT is pleased to welcome Herb Culver as facilitator of the workshop. Herb has been gardening for 35 years. For twelve years he has operated Bean Mountain Farms, a greenhouse nursery producing open pollinated and heirloom plants, with partner Karyn Zaremba. He has been saving seeds since visiting the Seed Savers Exchange demonstration garden in 1986. Some of the varieties offered by Bean Mountain Farms are unique and are not commercially available elsewhere. The seed-saving workshop will be a hands-on demonstration of how to save seeds of vegetables, herbs, and flowers and is intended for home gardeners. No experience is necessary. Culver invites any attendees who have overly ripe heirloom varieties of tomatoes, peppers, eggplant, zucchini and squash to bring those for instruction on saving their seeds. 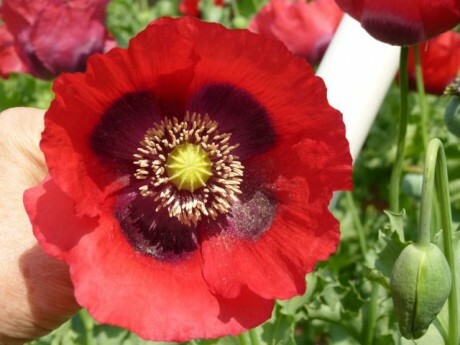 While other varieties are welcome, the aforementioned are the most common and most likely on hand. For saving seeds of flowers, he asks attendees to bring seed heads that have turned brown. If time permits, Culver will also discuss effective techniques for preserving, germinating and planting seeds. For those who would like a definitive source for seed-saving information, he recommends purchasing the book, Seed to Seed, written by Suzanne Ashworth. The workshop/open house, which will also celebrate the approaching culmination of The LINKPROJECT’s 2012 activities, is limited to 50 participants. To reserve a spot, please call 870-213-5785 or send a message to bevdunaway@gmail.com. Directions to Meadowcreek will be provided for registrants.